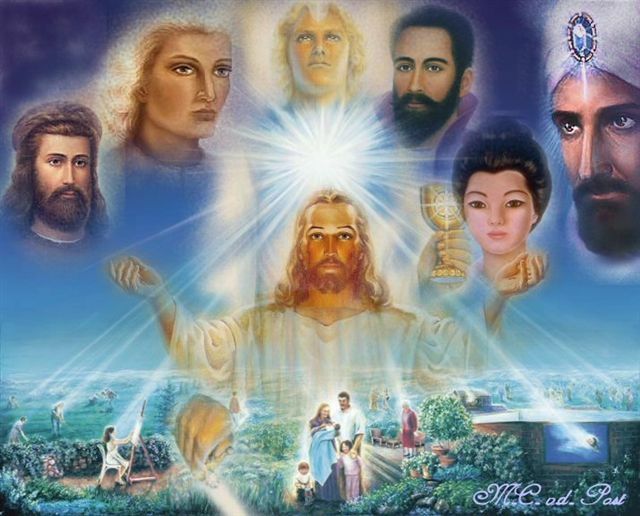 Who and what are the Ascended Masters? What and who are the Ascended Masters? 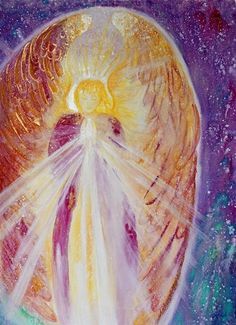 The Ascended Masters are the teachers who have reached a certain level of high atonement within themselves which put them in a dimensional space beyond the third dimensional one; they reached it, they Ascended, in consciousness. We all know the Ascension of our Lord Master Jesus, who in his own choosing is now called by his spiritual name Sananda, and we will tell you there are many others like him. Some are well known among spiritual people and some are less known. To name a few Ascended Master we could begin with St. Germain, who is also widely known. Others are Kutumi, Isis, Hilarion, Dwal Kuhl, Serapis Bey, Quan Yin and many more , the list goes on and on. Some channelers bring messages from these Masters of the Light and guide humankind to a newer level of consciousness. This is also what we bring on this website, to bring these enlightened messages to you. To learn from them is to take in guidelines for developing your I AM. All messages I receive will be placed under channeled messages section. You can find the button on the top side of this website. Other channeled messages, also found on this website, will lead to a different website with other fellow Lightworkers that channel. Of the Ascended Masters there are a few who I communicate with. The first One is widely known: This is Sananda, Jesus Christ in a former reincarnation, I know him by the name he gave me, Jesus Immanuel Sananda. I love Jesus’s Highly Loving energy and Words. He also Works with the Federative and the Ashtar Command. I love mostly how He opens our hearts and how is most gentle energies work through your heart and soul. His own main ship is the New Jerusalem and he has some smaller ships too, like the technical ship the Antarius. The Other Masters I have conversed with are; St. Germain (Keeper of the Violet Flame of Transformation), Dwal Kuhl (know as Confucius in a previous incarnation and friend in my Lao Zu incarnation), Serapis Bey (known also as my father Amenhotep III, in my Akenaten/Amenhotep IV incarnation), Hilarion (Master of the Green Flame of Healing) and Lord Arcturus of the Arcturian Bow. Please consider also the Agarthan friends of Inner Earth to BE High Masters of the Light and Love of Source Divine. I communicate with Adama of the city of Telos and have had recent communications with Lordoc Aerlon from Agoria, or Virana from the ancient Viracocha tribe of Mu. The great city of Telos is closely connected to the Ascension city of Luxor, home of Serapis Bey, two inner Earth 5D cities and in both cities an Ascension Flame resides and is protected. All cities are well connected. Jesus Immanuel Sananda holds the Resurrection Flame, the Golden Apple energy is connected to this sacred Golden Flame. Thank you for reading, Namasté.